TSTV Africa is the latest satellite TV provider in Nigeria and other parts of African country offering a wide range of amazing Satellite Tv channels ranging from Sports, Drama, News, Local/International Movies and general entertainment etc. TSTV Africa satellite TV channel provider has been making its way to the Nigerian market because of its reliability and affordability, apart from that with TSTV Africa you will surely make your home an entertainment and information home. 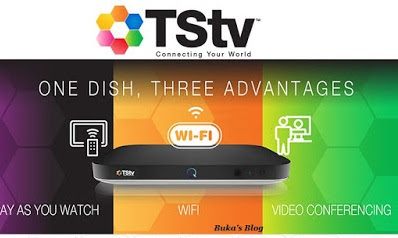 To Know more about TSTV Subscriptions packages, and other details kindly read all the questions and answers regarding TSTV cable satellite provider. TSTV Subscription Fee starts at N200, N500, N1000, N1500 and N3000. Note that with TSTV, you don't need to pay a subscription monthly or periodically. You pay as you consume. TSTV will be officially launched in Nigeria on the 1st of October 2017. The launch date for other African countries will be announced later. TSTv shows Live Sports like Premier League, UEFA Champions League, Europa League and so much more. Some Sports Channels on TSTV Africa are bein Sport 1-10, Fox Sports HD, and Ts Sports etc. please am muchly interested how can I register. I must make success in the bussiness . my contact is 07068875140 . What business are you talking about?